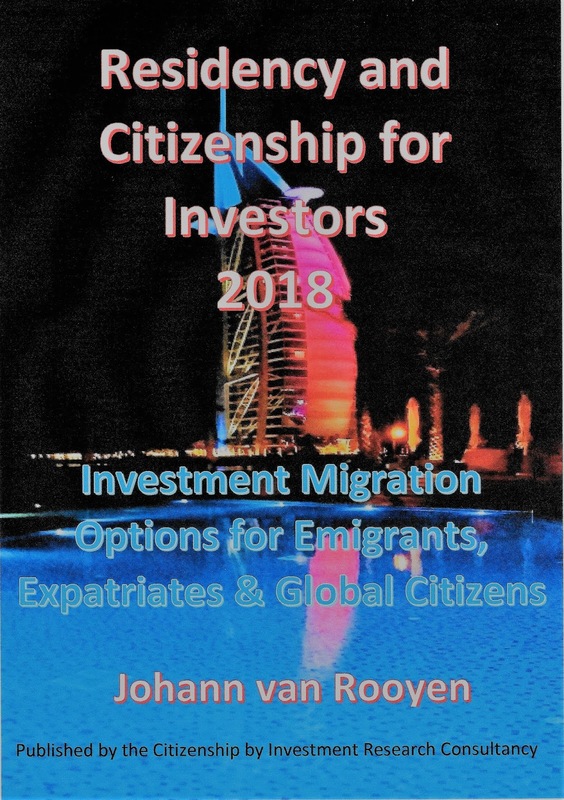 Residency and Citizenship for Investors 2018 - Investment Migration Options for Emigrants, Expatriates and Global Citizens. 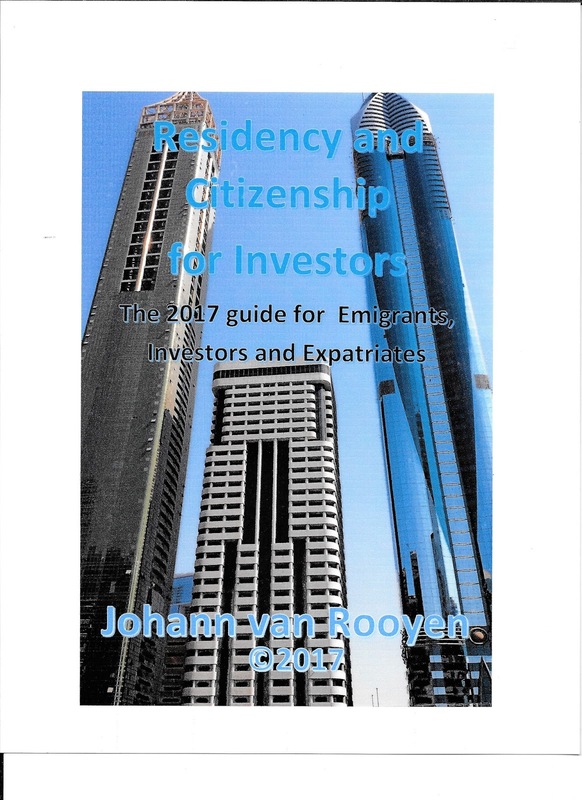 The 237-page eBook focuses on investor-class emigration, in other words how to obtain residency and a 2nd citizenship by making an investment in one of 32 host countries. It explores areas such as how to live, work, retire and enjoy a good standard of living in sunny islands such Antigua, Grenada, Saint Lucia, Dominica, Seychelles and Mauritius; Central American states such as Belize, Costa Rica and Panama; EU-member states such as Spain, Portugal, Malta, Cyprus, Greece, Belgium, Latvia and Ireland, and in perennially popular immigration destinations such as the United States, Quebec in Canada, Switzerland, Australia and New Zealand. It is the perfect guide for those looking for a comfortable and affordable country in which to retire or start a new life, and in the case of smaller island states, away from overzealous government bureaucracies. The majority of the countries in the book are tropical, subtropical or with a Mediterranean climate and will appeal to those wanting sunshine and beaches, yet with some comforts and good infrastructure. It will also appeal to those who want to escape politically and financially unstable regions of the world and are prepared to make an investment to secure the right to settle in safe and welcoming developed countries and enjoy the privilege of travelling with a second passport unencumbered by onerous visa restrictions. OR buy it from Amazon for U$19.95 at https://www.amazon.com/dp/B078S3YJRT. 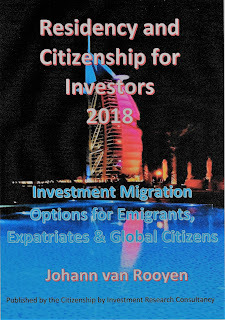 Every buyer of the new 2018 eBook who orders through through this website and pay via Paypal, is eligible for a complimentary initial evaluation, followed by a personal introduction to top international investor migration firms for a no-cost, no obligation consultation.